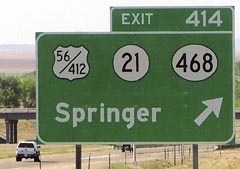 Springer has two interchanges: north and south. 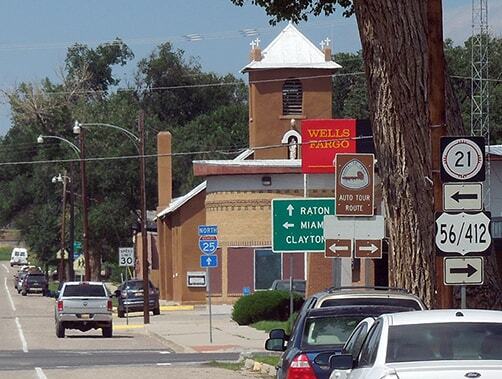 Both take drivers to what was formerly US 85 through town (Railroad Avenue and Maxwell Avenue), which now forms a business loop with the interstate. 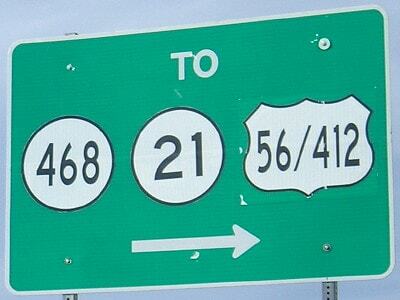 Pretty standard... except US 85 is no longer signed in New Mexico. And the Springer business loop is not signed as anything! 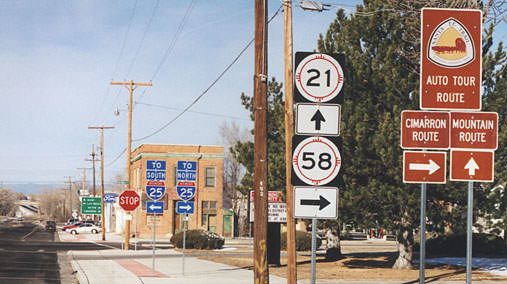 All four routes referenced above terminate at old US 85; none of them have direct access to I-25. 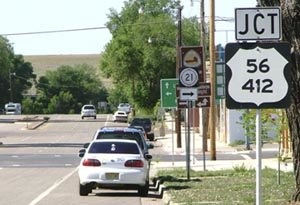 If NMDoT were more conventional, the signs above would read "Business 25 to US 56-412, NM 21, and NM 468". 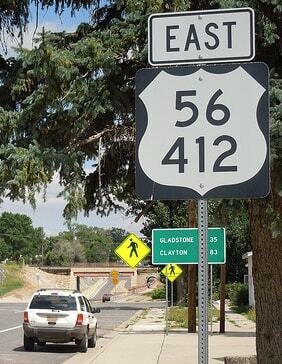 They did replace I-25 signage sometime after 2009, and they did change the info on that particular exit panel, but not in a way that one might have expected: for some reason, references to US 412 have been removed from I-25 (that is true of southbound signage as well). The rationale is unclear (but it seems that, just because NM makes a change to the info on their signage, it does not necessarily mean there was any specific intention behind it). That was west on 4th at Maxwell. No "End" sign... however, there is a sign here for NM 58... which is curious, since that designation does not begin until about 7 miles north of this point, off I-25. 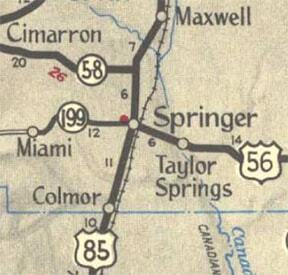 It is most likely a remnant from the time before US 56 was commissioned, when the road between Springer and Clayton was NM 58. That designation then went north here with US 85 for 7 miles, and then split off again, heading west to Cimarron. 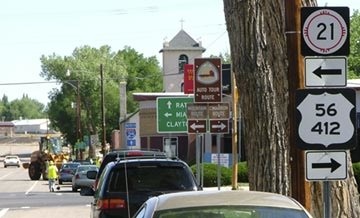 Signage ahead tells drivers which way to go for NM 21, but there is no direction for US 56-412, which begins to the left.